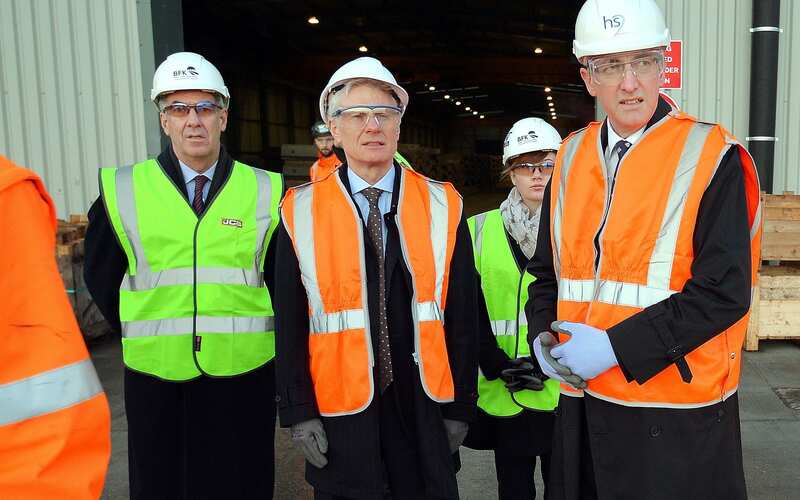 Heathrow’s chairman Lord Deighton has claimed the use of regional manufacturing sites for its expansion project will be a blueprint for a radical change in the way the country’s construction industry operates. The airport has announced a list of 65 potential sites which will secure the chance to be one of the four construction and manufacturing hubs Heathrow is planning on using to see its third runway project through. It believes by creating manufacturing sites in different regions of the UK will not only reduce congestion around the airport during its expansion but will also mean that manufacturing centres are created around the country for use on other future projects. Lord Deighton said such a move could have a positive impact on the construction industry. “I’m absolutely planning for this to be a step-change in the way the construction industry works,” the former Commercial Secretary to the Treasury said. Lord Deighton added the construction industry was a highly fragmented one meaning the creation of large hubs whereby various businesses could work together on one large project could “improve productivity”. “The UK is stuck with a low level of productivity and we have looked at ways to get out of that and doing big projects differently,” he added. Lord Deighton said he and his team would now visit the 65 potential sites, including ones pitched by companies including Segro, Sellafield and Balfour Beatty as well as local authorities, in a bid to whittle it down to the four which will be chosen to work on projects linked to Heathrow’s expansion. The chairman added he remained confident about Parliament voting in favour of a finalised scheme for the third runway next year. He also claimed Heathrow’s expansion would provide the largest benefit to the UK economy compared to competing schemes, such as that at Gatwick. This was in spite of the fact the Government’s revised draft Airports National Policy Statement said Gatwick would be marginally more beneficial to the economy over the 60-year period post expansion. Lord Deighton said the Government’s figures excluded the “advantage” Heathrow brings to the UK given its status as the nation’s largest port. Critics of the expansion claimed the major revision to the predicted economic benefits of a third runway at Heathrow – up by a fifth to ?74bn over its 60-year life in just a year since the previous estimate – had “trashed” the evidence base which was used by the Government to back the project.